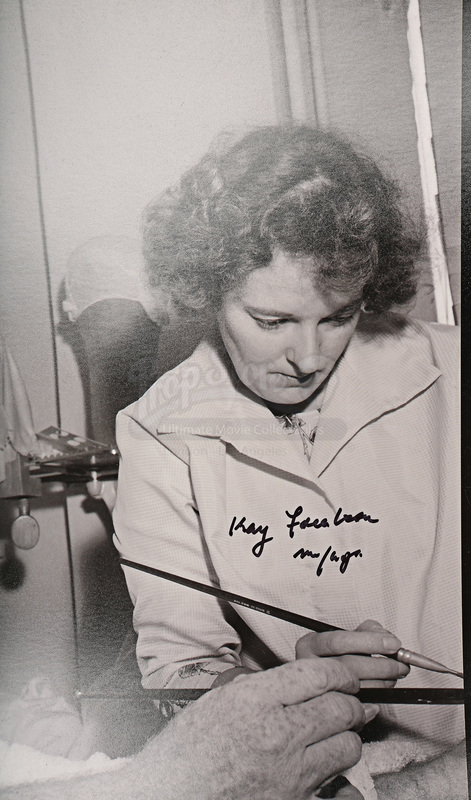 An autographed photo of legendary makeup artists Stuart and Kaye Freeborn while working on the production of Stanley Kubrick’s 1968 science fiction epic 2001: A Space Odyssey. 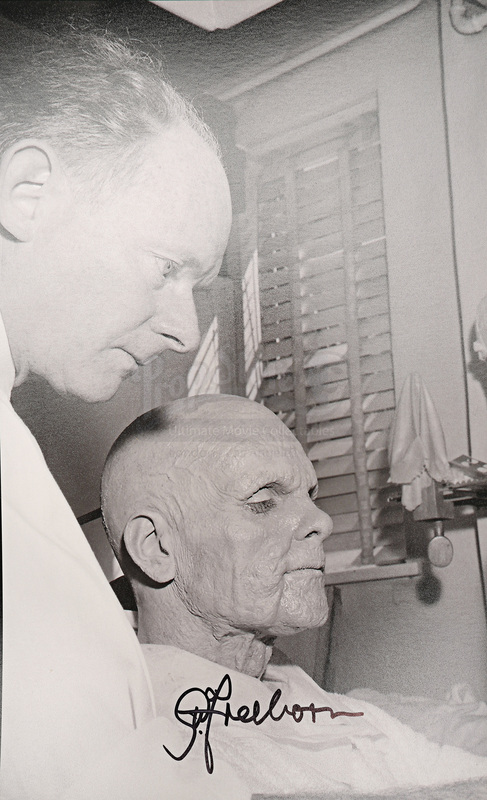 As well as working on 2001, Stuart Freeborn did the makeup for many iconic Star Wars characters, most notably Yoda, who he partly designed on himself and Albert Einstein. 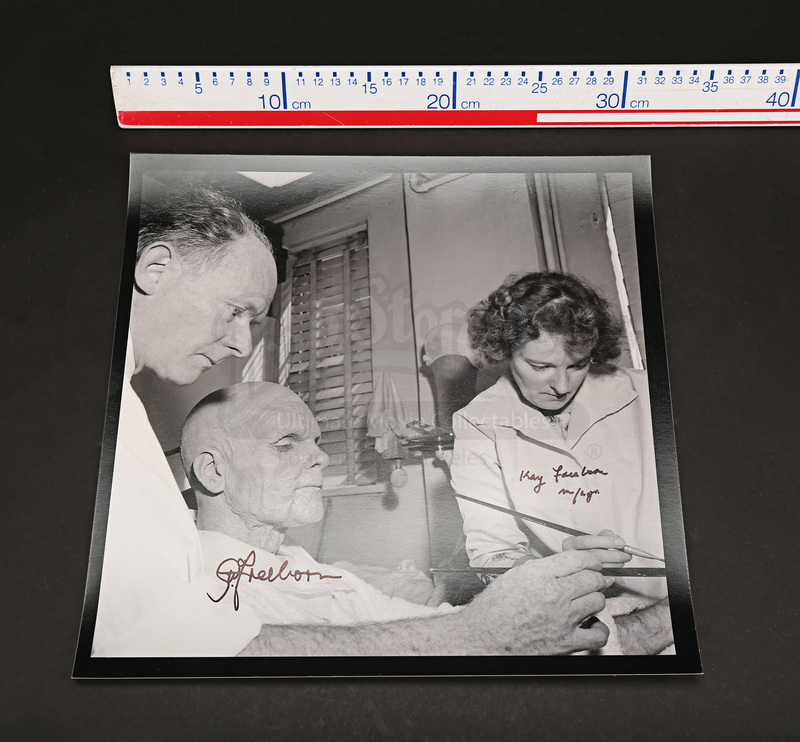 This large photo is of the pair as they apply makeup to Keir Dullea, who played Dr. David Bowman. 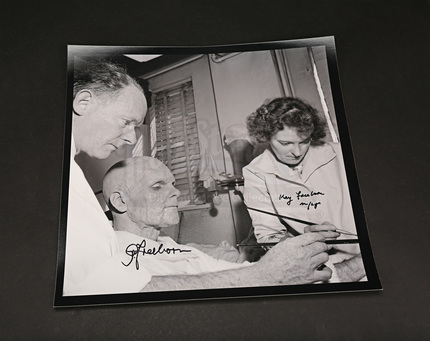 Signed by the couple in black marker pen, it is in excellent condition.